Oh hey. It's February. Thea's birthday was in July. That is pretty much how I roll right now. Whoops. 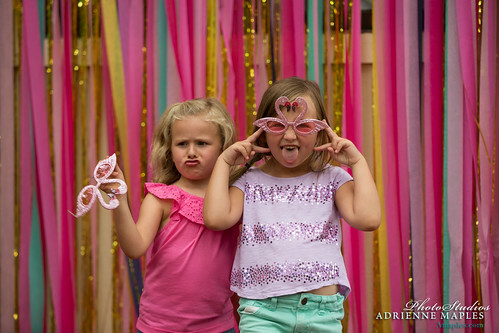 We had Elsie's 4th birthday party at the beginning of the month, and Ryann's will be coming up in not too long, so I figured I should probably throw these pictures on the blog. Sorry third child. Love you lots. 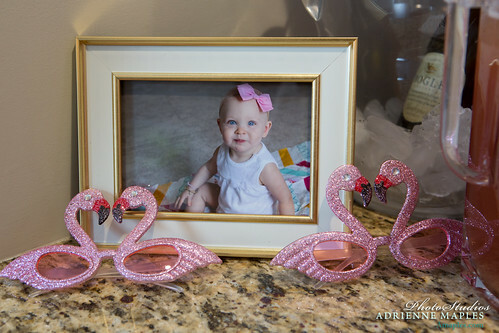 I'm not really sure how it happened, but flamingos kind of became Thea's thing once she came home from the hospital. 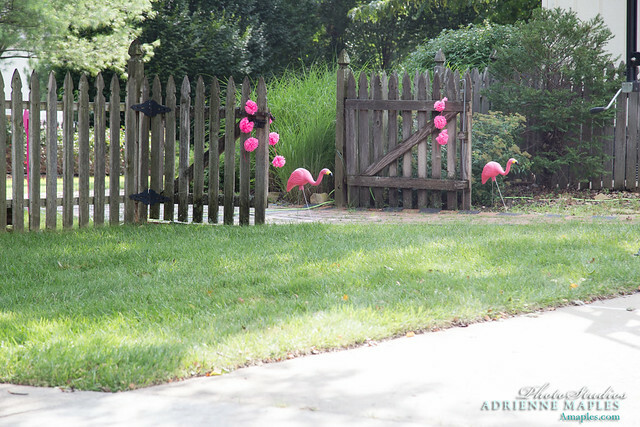 Christopher's mom had put a flamingo in the yard with a congratulations sign, and brought the big girls stuff flamingos. The theme just kind of stuck from there. 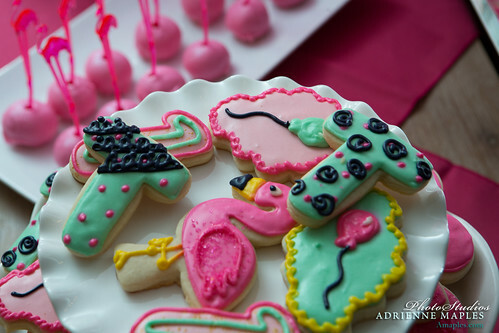 I mean pink + flamingos + summer birthday. It was meant to be. 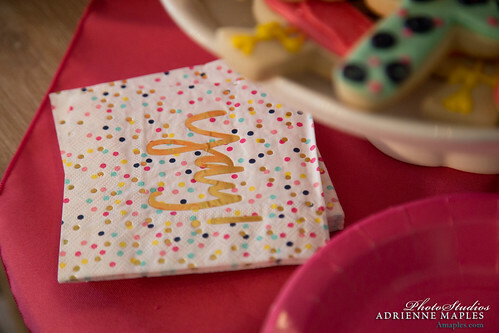 The rest of the colors for her party match her nursery, and were solidified when I came across napkins at Hobby Lobby that matched perfectly. I'm going to let the pictures do most of the talking. There are a lot of them! 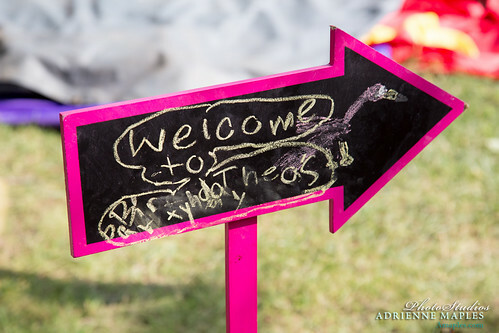 A big thank you to Adrienne Maples Photography for capturing the fun. 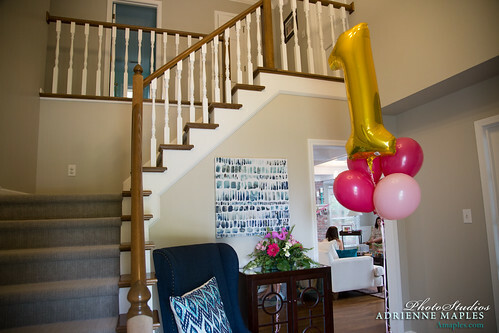 Really I kept the decorations pretty simple. 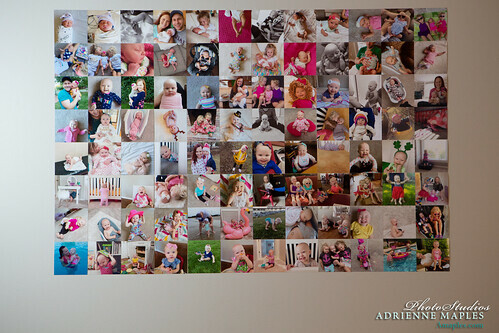 Repurposing some things from previous parties, the monthly photo banner, flowers, balloons and photos. 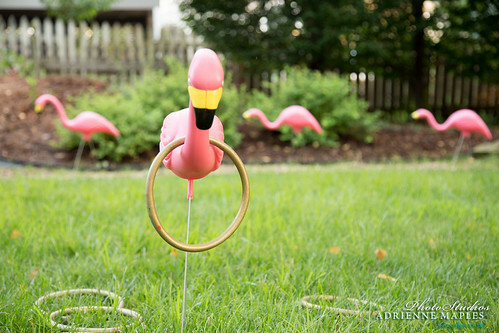 Throw in some lawn flamingos and you've got yourself a party. 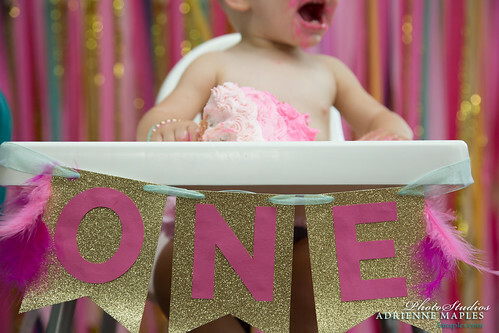 The biggest project was the backdrop for the cake smash, which really wasn't all that hard at all, and a ?????? that was supposed to go over the entrance to our backyard, but it kept blowing over in the wind. Sad story! 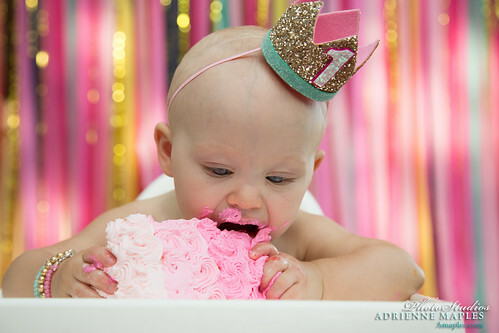 But I'm absolutely thrilled with how the cake smash backdrop turned out. 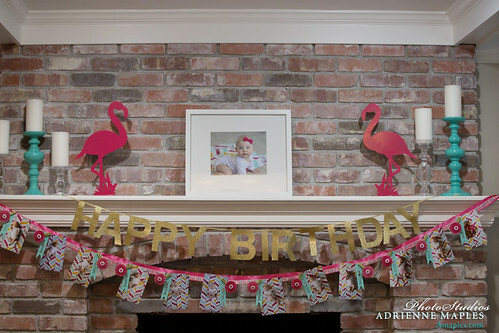 We used a piece of PVC, taped some mylar curtains to it, and then tied on some crepe paper streamers in various colors. Then Christopher managed to zip tie it to the house. Not really sure how it happened but whatever. 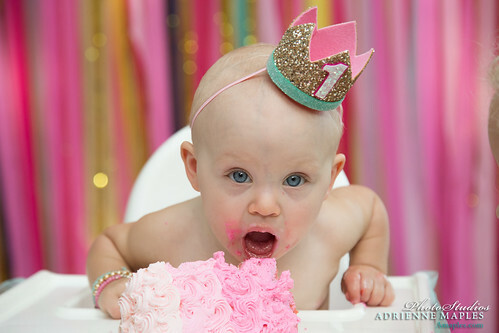 It made the cake photos so cute! 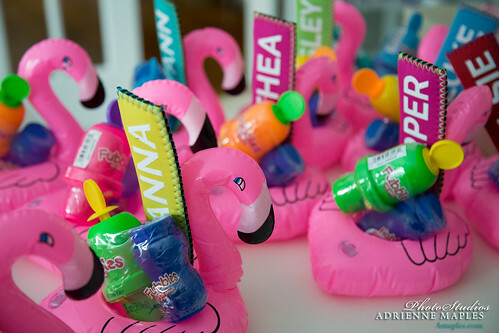 For the favors I ordered inflatable drink holders off Amazon, then added some popsicle holders (also from Amazon) I personalized with my silhouette, along with some Fubbles I snagged at Target. Super simple and they seemed to go over pretty well. I guess there aren't any photos of the regular food we served, nor can I remember what it was at the moment. Figures. But the sweets! Definitely captured those. 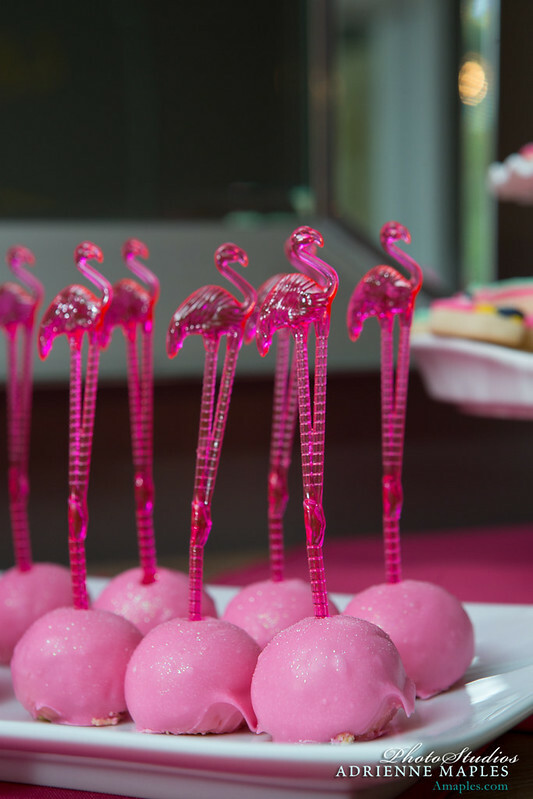 My friend Jenny made the adorable cookies, as well as the delicious pink cake balls. 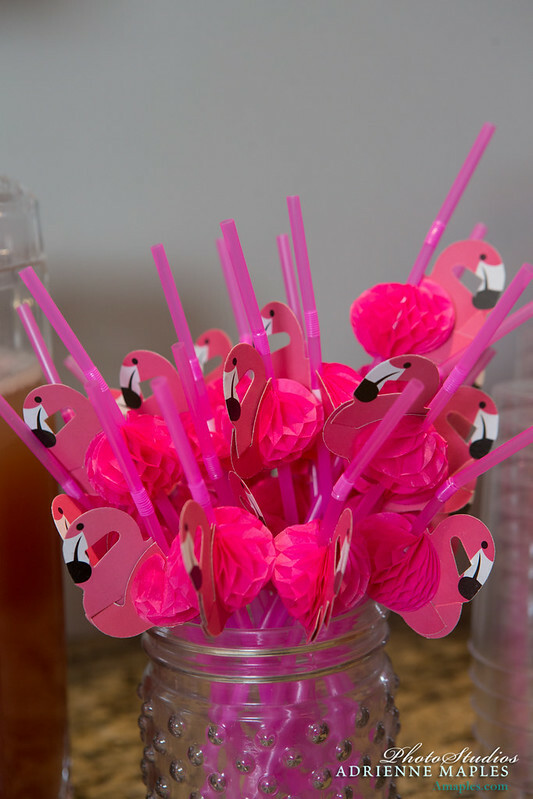 The flamingo sticks are drink stirrers that I purchased on Amazon. My mom made chocolate sheet cake bites. And then friend Jennifer number 2, haha, made the gorgeous cake! 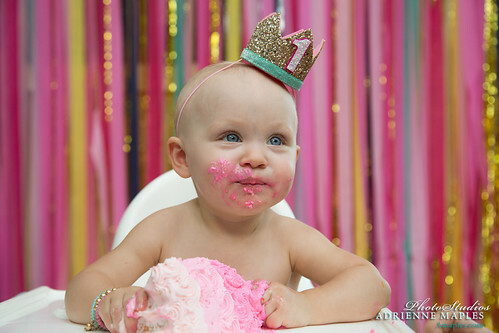 Seriously, I am so impressed with her cake skills. I would love to learn how to bake and frost good cakes, but maybe I'll just leave it to my friends. 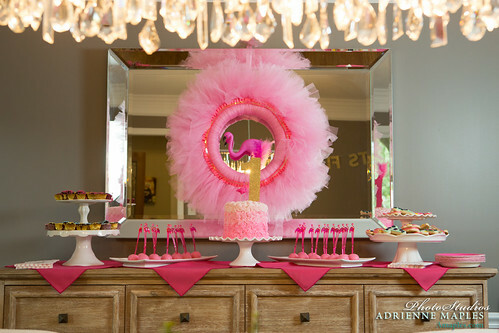 :) I made the glitter '1' cake topper out of gold cardstock, then glued a couple of feathers to the top. 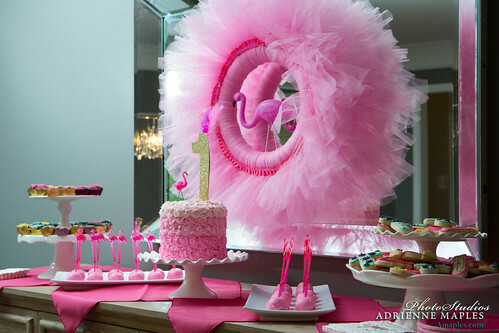 The flamingo candle was also from Amazon. 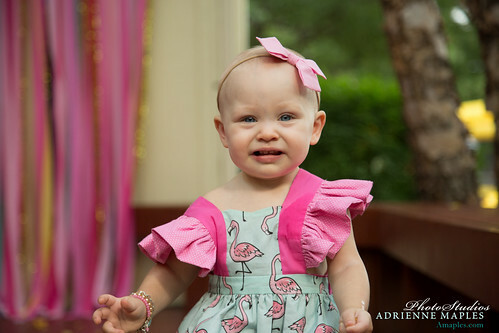 The birthday girl in the sweetest little flamingo dress! My oh so talented mother made it. The flamingo fabric I found on spoonflower, the pinks were from Joanns. 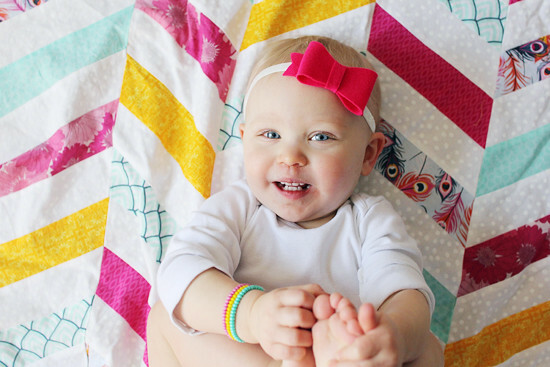 Her pink bow is by Zozu Baby, little bracelets by June + Penny, and her pink ruffle bloomers you can see later in the post are by Beckaloo. 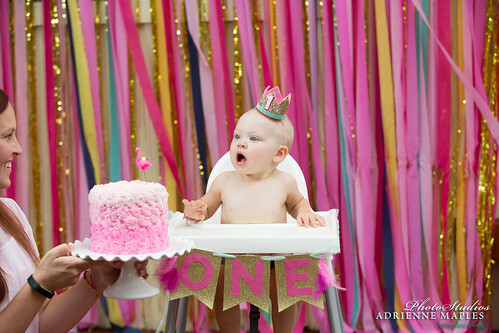 We opted not to do any gifts for this birthday, so the cake smash definitely stole the show, as it should. Thea definitely did not disappoint. She had demolished a chocolate cupcake on her actual birthday, so I expected her to dive right in. She was super pissed when I took the cake away to cut her a piece. 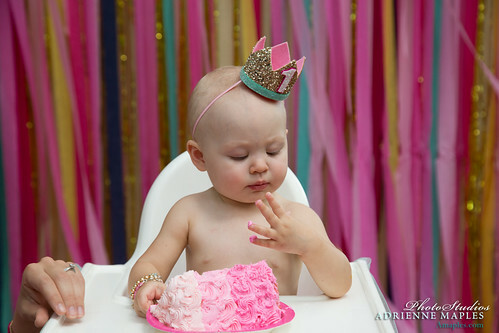 But when we handed it back to her, she really didn't know what to do with the giant slice of cake. Ryann helped her out and just dumped the cake on her tray, and after Elsie convinced her to just lean in and bite it she went to town. 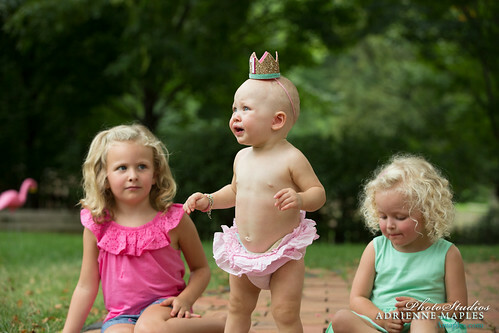 Thea's birthday crown was made by Little Blue Olive. 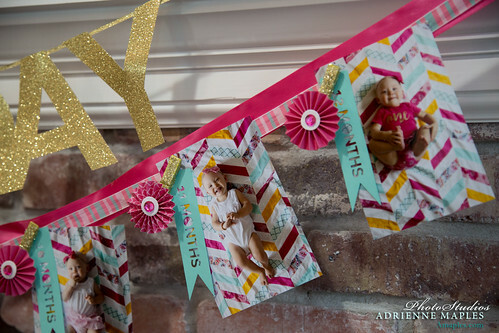 I made the high chair banner with my silhouette and a hot glue gun. I swear sometimes a hot glue gun makes me feel like I can do anything. 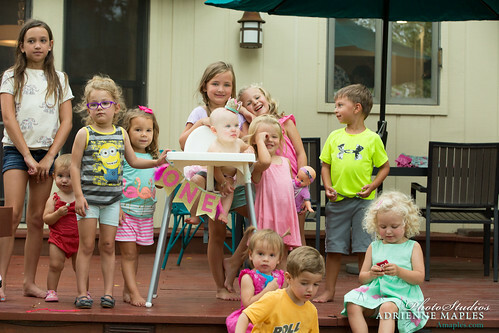 Most of the party was just spent outside eating and playing. It was super hot that day, but thankfully our backyard gets decent shade in the evening and it wasn't too bad. I have to say I am pretty thrilled to have a kiddo with a summer birthday. 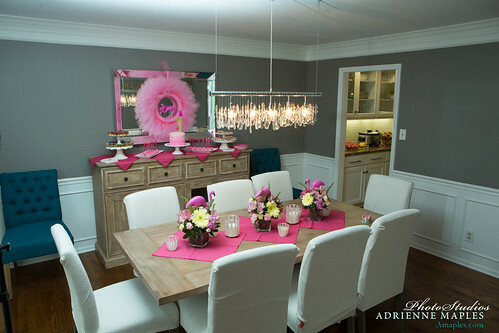 It certainly makes party planning a little more fun in my opinion! 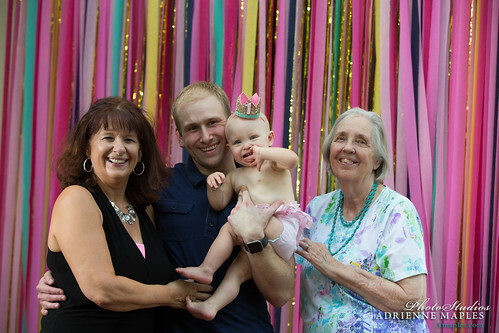 I'm so thankful for all the friends and family who came over to celebrate little Miss Thea. I really do love planning birthday parties for my kiddos. Not because I hope to see it plastered all over pinterest, but because I really do enjoy it (especially when I get to pick the theme! 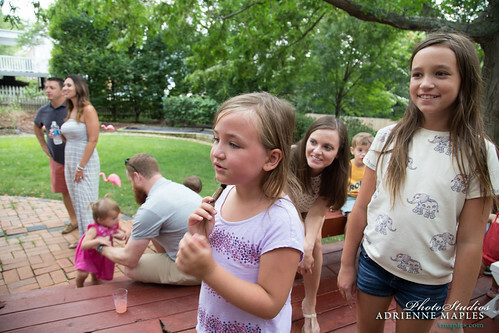 :), and my kids have always seemed to enjoy their parties. AND I love a good excuse to get together with friends. Only about five months until her next birthday. What?!?!?! Hold me. We're getting closer to two faster than I can handle! 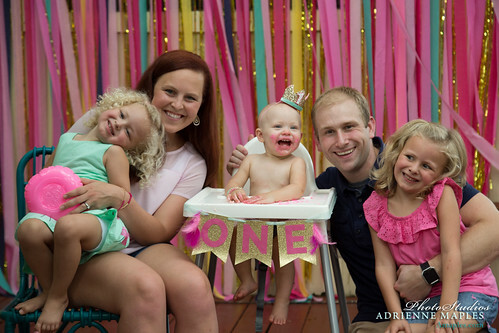 I tried to convince Elsie she wasn't allowed to turn four, but she went and did it anyway. 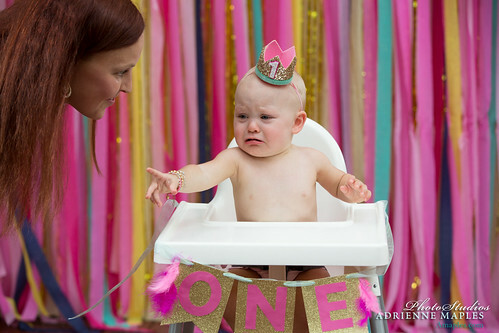 Maybe I can keep Thea from having any more birthdays. Someone has to stay little for me! Proud of myself, I actually have Thea's measurements. 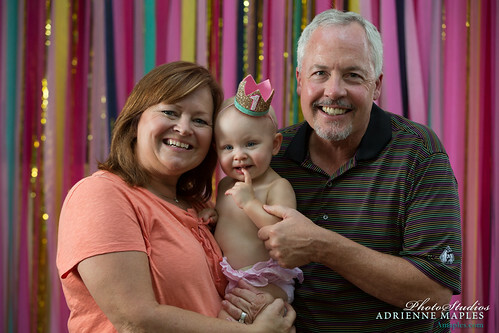 At her well check she weighed 25 pounds 3 ounces (82nd percentile) and was 32 inches tall (56th percentile). I felt like her length would have been higher up in the percentiles, she seems tall and I also don't see her as a chubby girl at all. But whatever. I think her head was somewhere around the 50th percentile too. 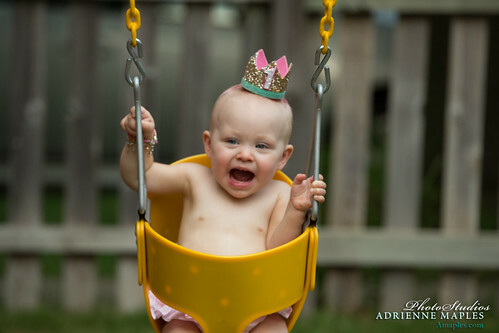 She is wearing 18-24 month as well as some 2T clothing. Mostly size five shoes, a few sixes in there. And size five diapers. Her upper canines are pretty much all the way in, and the bottom gums have started swelling. 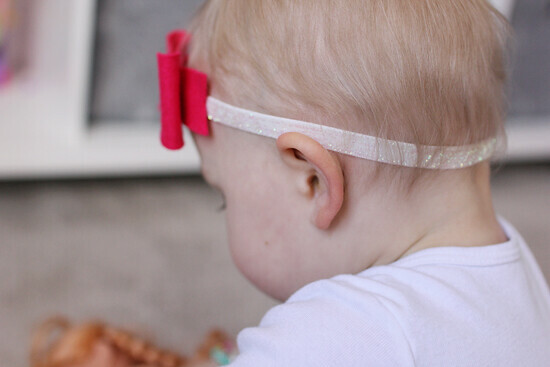 Thea has also been shoving her hands way back in her mouth, I don't know if that means the two year molars are moving around at all, or she is just doing it for the heck of it. But between teething and never ending nasty colds, I feel like the poor girl has been a hot mess for a while. The bottom of her nose is either cracked and bleeding, covered in boogers, or covered in aquaphor to try and keep it from cracking and bleeding. I also slipped and used some regular baby wash on her (Shea Organic) thinking since she was older maybe her skin could handle it. Yeah nope. She has little eczema spots all over her back and arms. They aren't too bad, but it is clearly from the soap. Piggy wants more marshmallows. Lol. Thea is still the sleep champ in our house. Not because she sleeps a ton or anything, but she definitely sleeps the most. And is the easiest to put to bed by a long shot. She goes to bed between 7:30-8pm, and wakes up anywhere between 5:30-7:30am. And you really can never predict what you're going to get. If she had a really short nap then you can maybe guess she'll sleep in the next morning, but not always. Nap time is between 12:30-1pm, depending on what were doing and when she got up for the day. She usually sleeps 2-3 hours. We've added a second baby to the needed crib items. Going to try and keep the collection from growing for a little bit. It isn't like they are tiny dolls, not the easiest to drag that crap places! But watching her snuggle up with the baby dolls still makes me smile. Lately Thea will repeat almost anything we say. Some words sound perfectly clear, some words I don't have the slightest clue what she is trying to say. But for the most part I can figure out what she talking about. She has been adding more and more phrases. If I say something like, "Who likes cheese?" she'll respond with "I do!" It's pretty cute. She has also learned her name, and occasionally talks in the third person. Such as "Ee-uh tolor (color)" or "Ee-uh dan (dance)." The blanket we got her for Christmas has 'Thea Lorraine' embroidered on it, and hearing her try to say the whole thing is adorable. It comes out something like "Ee-uh oh-waine." I love it. Also over the last month she has been very into giving ownership to items. Distinguishing between people's drinks and plates and clothes and such. We've picked up that she refers to Elsie as "El-ee", but Ryann as sissy. Even though she can say Ryann pretty clearly. I thought that was interesting. A lot of times I still breeze over stuff, or have a conversation as if Thea isn't listening. But she usually is and she is pretty dang smart. 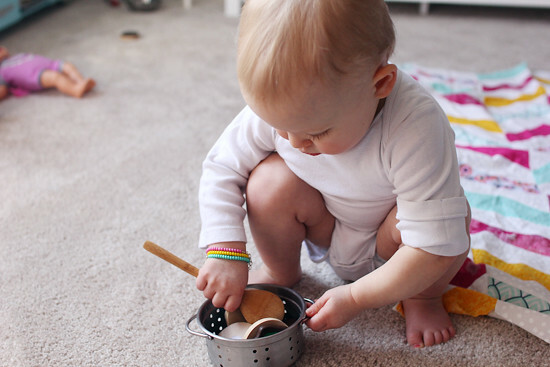 She is figuring things out left and right, learning how stuff around the house works, following my conversations and engaging when I didn't think she'd understand. It is so amazing to watch little brains work and learn. 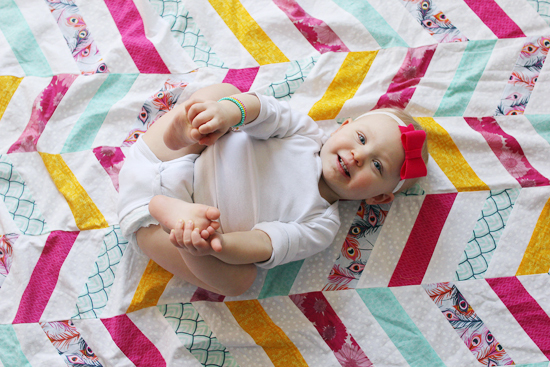 Thea now can name lots of her body parts and can rattle off dozens of animal sounds. She regularly crawls around the house pretending to be a dog or a cat. Thank you very much, sisters, for that one. 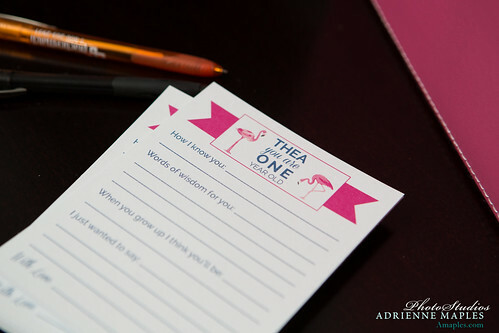 Yes, not only is Thea parroting words and phrases, but she is copying her sisters' every move. One morning I was pouring bowls of cereal for both Ryann and Elsie. I gave Thea a bowl too. Then I added milk to the big girls' bowls. Thea began saying "Ee-uh mil! Ee-uh mil!" I ignored her for a bit, knowing that if I put milk in her bowl I'd probably be cleaning milk and cereal off the floor in a matter of minutes. 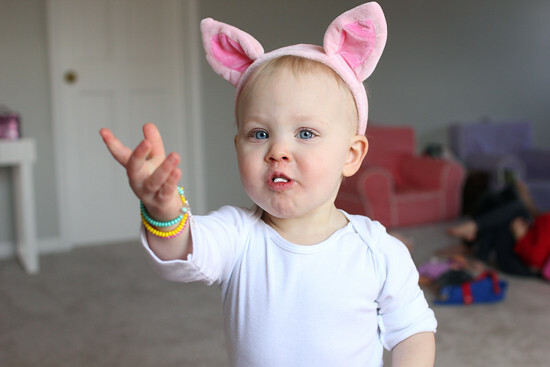 But she looked pretty pitiful, and you know, the third child gets away with everything, so I caved. I barley put any in there, but to my surprise she managed to eat the whole bowl without spilling and then asked for more. I guess shame on me for not wanting to give her the opportunity? Oy. I'm just tired of constantly cleaning milk off the floor. 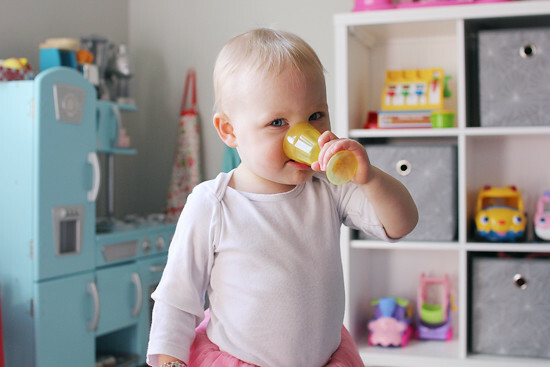 The 360 sippy cups are great until they slam into our hardwood floor and explode everywhere. Does anyone else have that problem? Thea has more or less mastered shape sorters and understands puzzles. 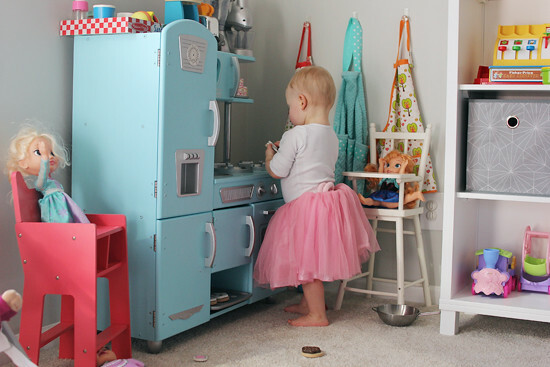 She loves to put on a tutu and then requests to dance, while putting her hands on her bum and bouncing up and down. Actually she also feels the need to dance if I put her in a dress in the morning. Fisher Price Little People still keep her pretty well entertained. 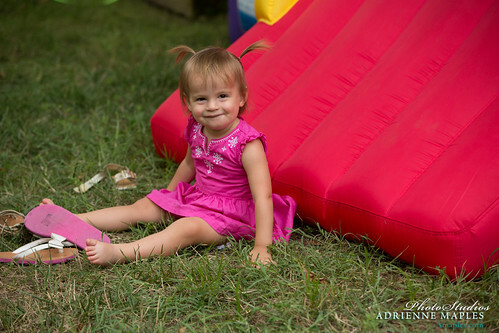 She loves to go in the bounce house, but only lasts a little bit before she bolts back out of the basement. And she love love LOVES to be outside. We've had a few warm days sprinkled in here and there and she gets so excited to play in the yard. 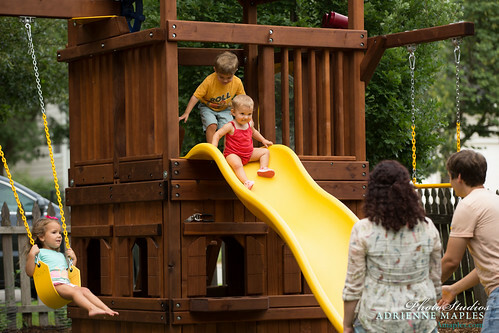 She really enjoys going down the slide but it is kind of terrifying. I have to watch her on the ladder to make sure she doesn't fall off, then run to the other side and catch her because our slide is so dang fast. For the most part she waits for me, but sometimes I'm cutting it close on getting to the end before her! 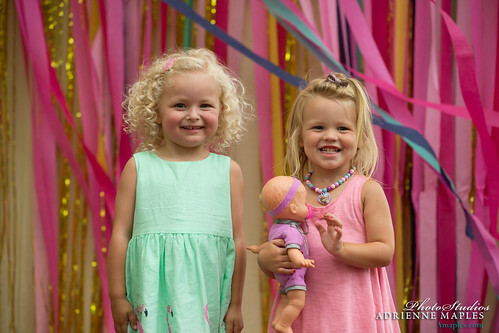 And baby dolls. Man she still loves her baby dolls. She is so sweet with them most of the time. The other day I caught her 'reading' to her baby, and having her feel the different sensory spots throughout the book. It was adorable. On that note, Thea is enjoying being read to more and more. I think her favorite books are Goodnight Moon and Goodnight Little Thea. The latter I got as a Christmas gift for her last year. It is a personalized book from i See Me and I highly recommend them. The book is wonderful quality and I'd attribute half of Thea learning her name from reading that book. She likes to point to her name on each page when I'm reading. For Valentine's day I picked up Love is a Tutu, and Thea pointed to the word tutu and said "Ee-uh!" I guess she recognized the similar length and the T. Or something like that, but I thought it was cool. She still geeks out over Frozen characters. Still a crazy climber and constantly scaring the crap out of me. Loves to wear her June + Penny bracelets. Still hates getting her diaper changed or being offered new foods. Is still definitely a mama's girl, though she is becoming more and more receptive to other people. Not necessarily willingly going to other people, but not freaking out when everyone looks at her. Except for our friend Chris. She avoids eye contact with him most of the time, haha. Speaking of being with other people, I left Thea in the church nursery for the first time this month. The first week I was paged 15 minutes into the service because they couldn't get her calmed down. As soon as I opened the door I could hear her screaming down the hall. Poor girl. When I got back to my seat she grabbed onto me, held on to Chris's hand, and promptly passed out. Those 15 minutes wore her the heck out. I expected the second week to go much the same, but to my surprise she lasted the whole service. When I picked her up one of the girls was holding her. They said she cried on and off, but overall did ok. It'll be two weeks before we can get back to church again, hopefully she still does well. Really I think 18 months might be one of my favorite ages. Of course there are things I enjoy about every age, but Thea just makes me smile so much. I enjoy just sitting and watching her play and explore, and absolutely love all the affection she shows me. 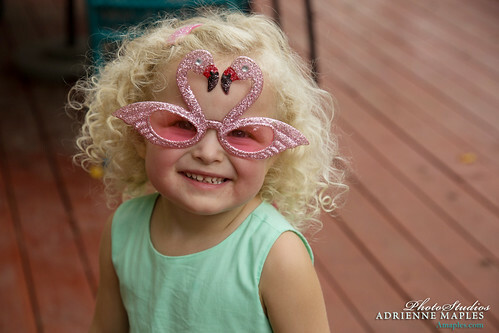 Stay sweet baby girl, I love you!